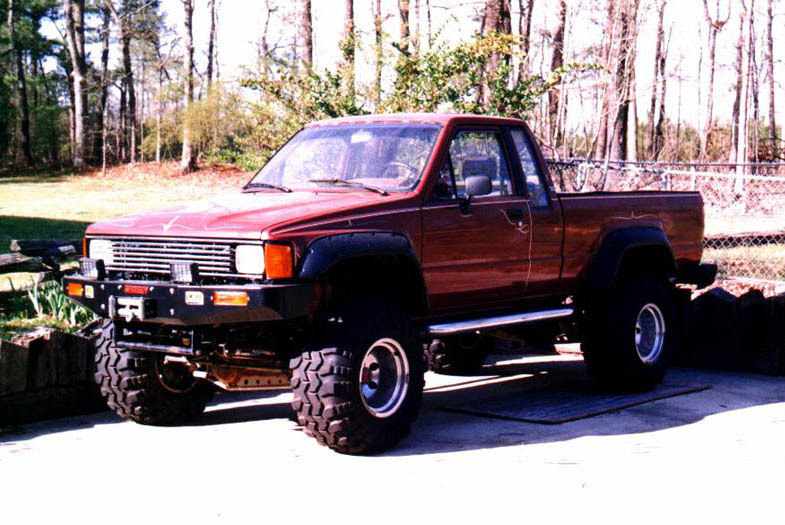 My '84 Toyota pickup has been somewhat underpowered since the installation of the 35" tires, and the old 22R is getting tired as it has somewhere around 200,000 miles on it. I toyed around with the idea of rebuilding the current engine and converting it to a 22RE (Fuel Injected) using Toyota Celica parts, but the slight gain in horsepower and drivability didn't justify the effort required to do the conversion. 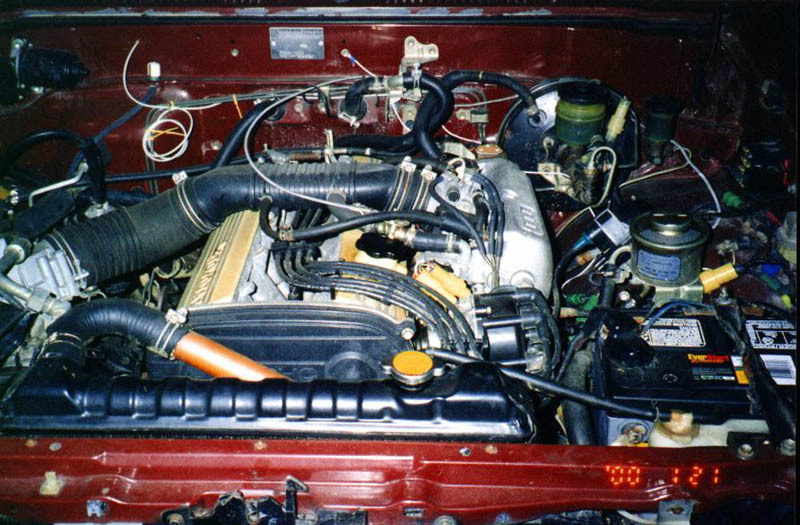 While researching options for replacing my dying 22R, I learned of Spencer Edwards who had swapped a Toyota Supra 5M-GE straight 6 into his Toyota pickup. I got in touch with Spencer to learn more about this Supra engine swap. It turns out this swap can be done for much cheaper than many of the common engine swaps! As luck would have it, a friend was trying to get rid of a 1982 Supra with the engine I needed for this swap (5M-GE Inline 6). The car had been in an accident, and the sub-frame was bent. Fixing the frame would probably have cost more than the car was worth, and the engine was in great shape with 105,000 miles on it. 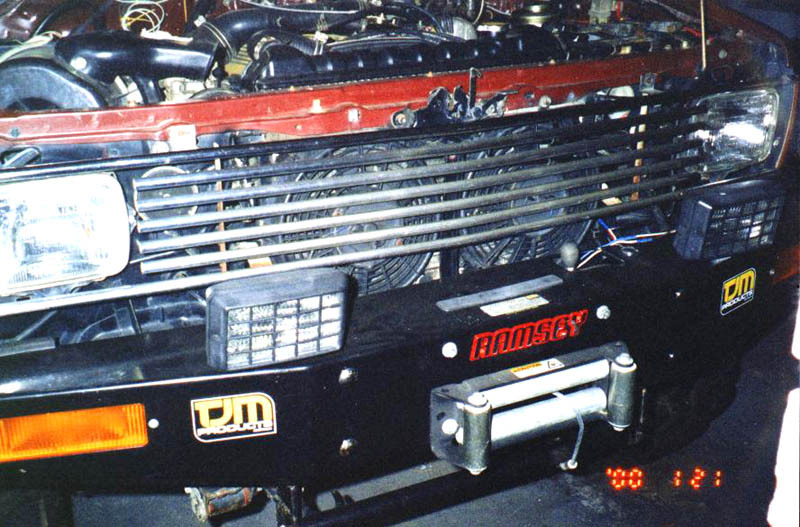 I had been storing a frame from a standard cab pickup with the hopes of someday putting my extra cab truck body onto it because this frame has a shorter wheelbase. 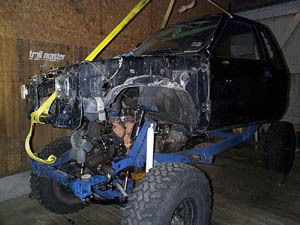 I decided that this engine swap would be a good time to put my Extra-cab body onto the new frame. Stripping the truck to the frame is not something that needs to be done to install the Supra engine, but this way I could kill two birds with one stone. At the time of writing, this swap is still underway. Please check back regularly for additions to the article.